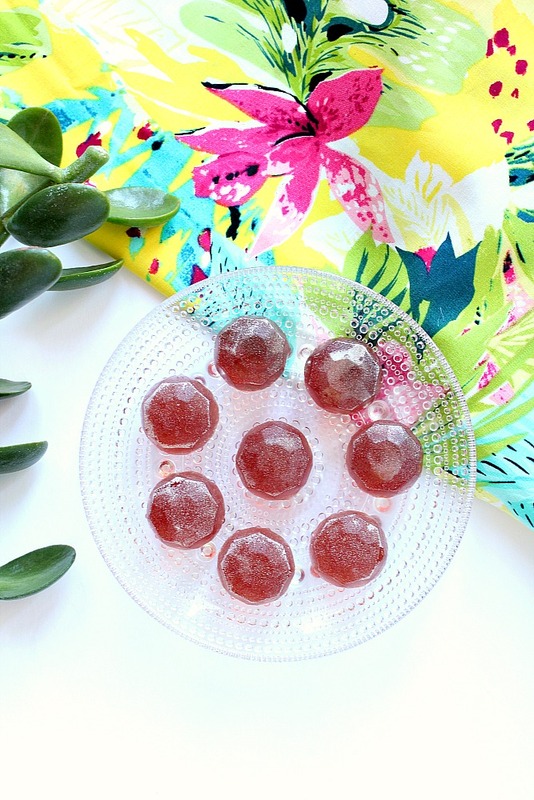 These homemade gummy candies with NO added sugar are almost too pretty to eat! Almost. *When choosing a fruit juice, just skim the ingredients to make sure there isn’t any pineapple, mango or papaya juice because these juices will prevent the gelatin from setting unless the juice has been boiled. Also watch fruit juice labels for added sugar and artificial color. Pop into the fridge for a few hours and, voila! 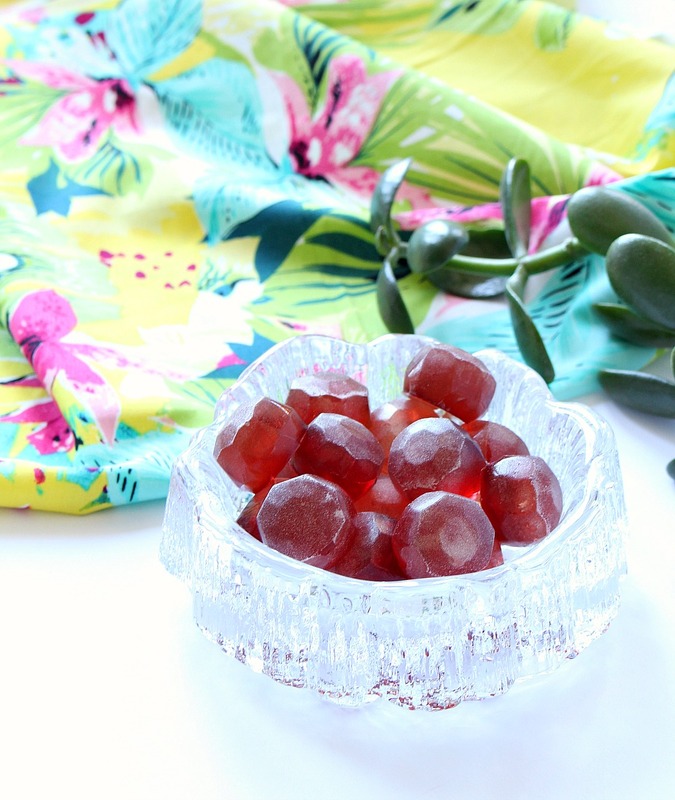 Gorgeous gems shaped homemade gummy candies with NO added sugar. Perfect for a rock hound like me. I’ve been experimenting with different liquids, methods and flavor combinations – including an orange chocolate gummy that is so delicious – but my homemade gummies keep getting eaten before I can properly photograph them! I got about five minutes with these. They’re looooong gone. 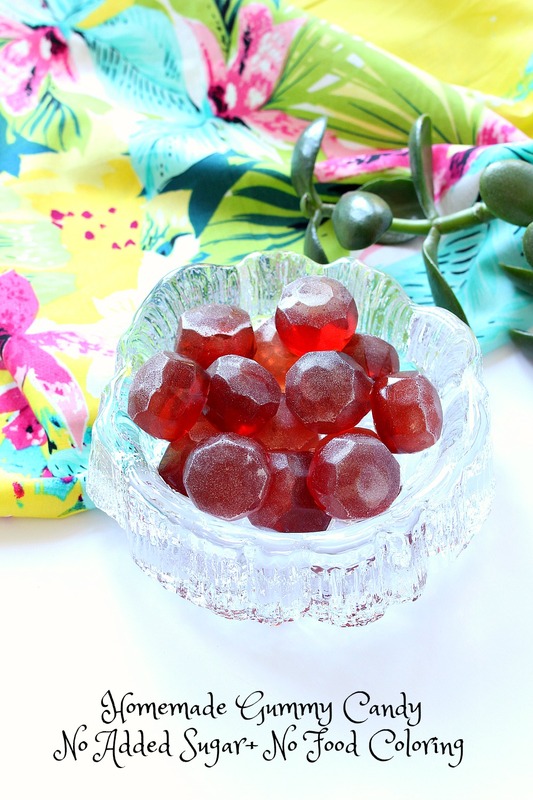 I wanted to share because easy homemade gummy candies with NO added sugar are a good starting off point for anyone wanting to experiment; this “recipe” is foolproof. 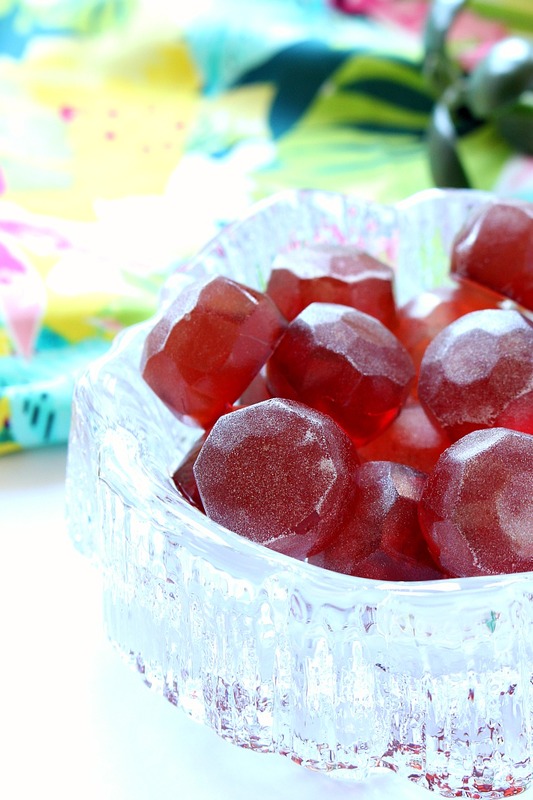 Have you made your own gummy candy before? Any delicious recipes I should try? oh fun!!! i think emmy would love this!!!! Look delicious, will definitely give this recipe a try. Where did you get that silicone mold? Amazon! I went through my purchase history and linked the exact one I bought. I agonized over the size and shape, lol, because there are so many kinds of gem molds out there. I'm really happy with the quality of this mold because I've used it a TON and it has washed up really nicely each time. I even chuck it in the dishwasher. So are these "gummy" as in like a "gummy bear" or gumdrop? This is a nice recipe to try this weekend with my daughter Abby. Definitely! You can use her favorite fruit juice. If she's really young, you might want to just pour a bit of the gelatin in a small bowl for her because the smell in the container is a bit strong. I worry a picky eater might be grossed out by it. Yum! These look great. I've been meaning to try a couple recipes for gummies; this seems simple enough, I definitely have to give them a go. These are gorgeous! I make similar gummy Legos for my grandsons, but I had never thought about looking for my own mold. And the gold dust is delightful. I was just diagnosed with diabetes, so I'm going to start making them for myself. 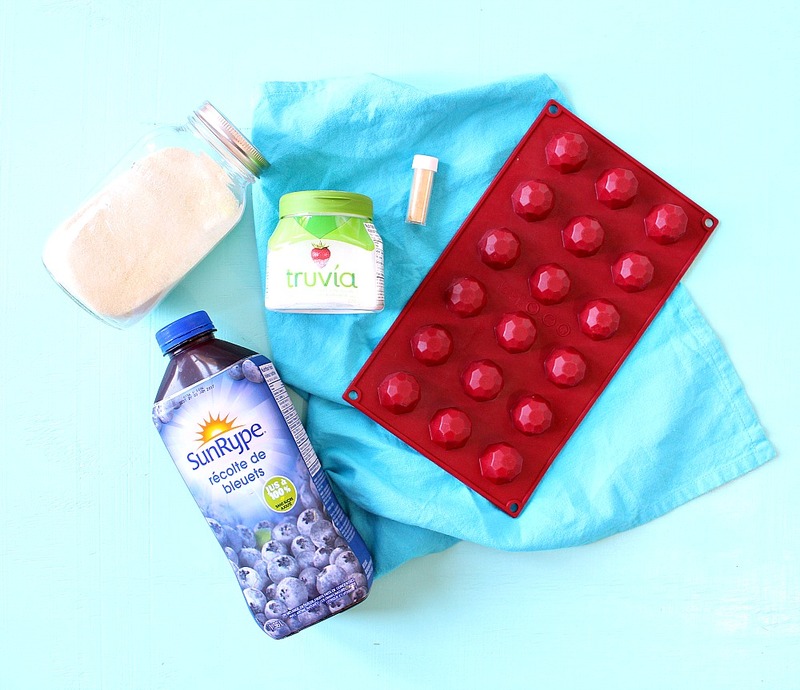 We are always looking for recipes to make with the kids and the neighbors ( who seem to always end up at our house), and with this not having any sugar, we will give ita go! Thank you. It's amazing how easy this is! My wife and daughter love gummy candies, but we don't eat a lot of candy in our house because of the sugar. My wife is going to love this! Thanks for sharing! I hope your wife and daughter love these! Let me know if you experiment with any fun flavors. What is the shelf life of these if they are refrigerated? These will last a few weeks in the fridge – I had another batch last a couple of months, actually, but they weren't as tasty anymore. What happens is that they get harder and harder. An airtight container will help. But really, these are tastiest served within a few weeks of making. Great question! I ate this particular batch in a day, so it didn't dawn on me to include a shelf life, lol. Can plastic molds be used? I prefer the silicone molds because they can pop out easier. You might damage them prying them out of a plastic mold. I made some in small bowls to see and they do come out eventually but the silicone just makes life so much easier. Could I do a fruit tea instead of the fruit juice…I can't have fruit juice.